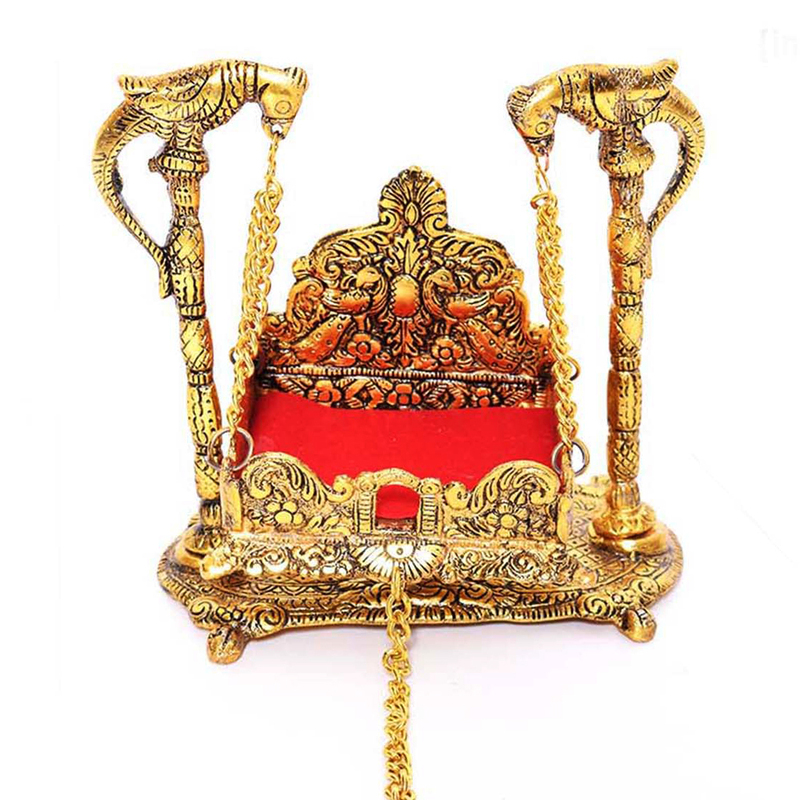 This showpiece is one of the many classics when it comes to Indian handicrafts. Every aspect of this showpiece gives off a premium vibe in spite of its price range. This showpiece is made entirely from the highest quality of oxidised metal. This makes sure that the show piece is well protected against the elements, Read More..and does not corrode away. 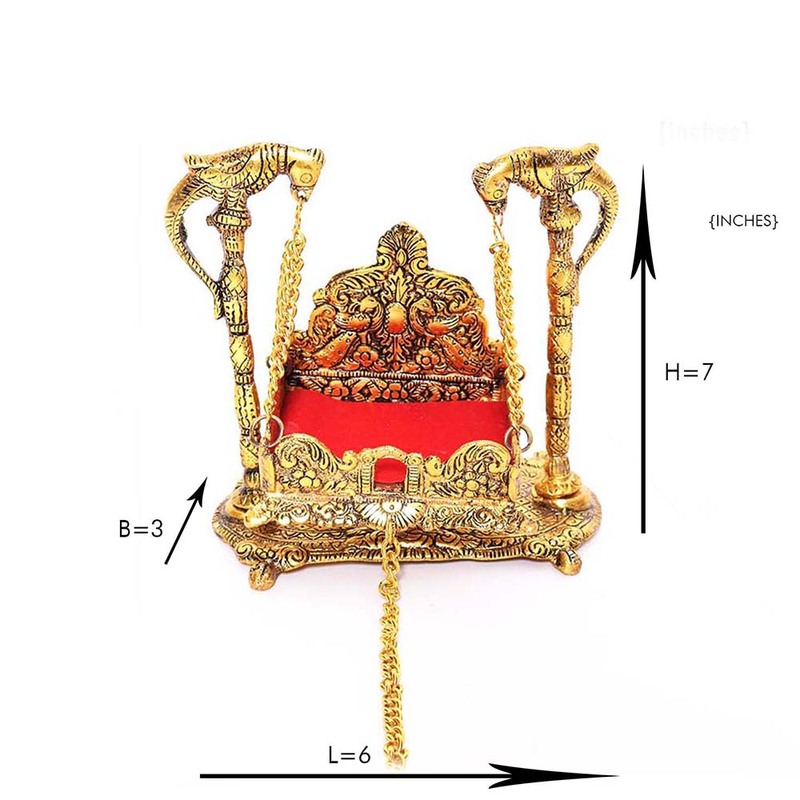 There are three aspects of this showpiece each boasting intricate handiwork with the jhula being attached to the supports with miniature chains made from the same material. This ensures that the overall quality of the product is not compromised. There is a little red cushion in the seating area of the jhula which contrasts nicely with the golden colour. Show Less..